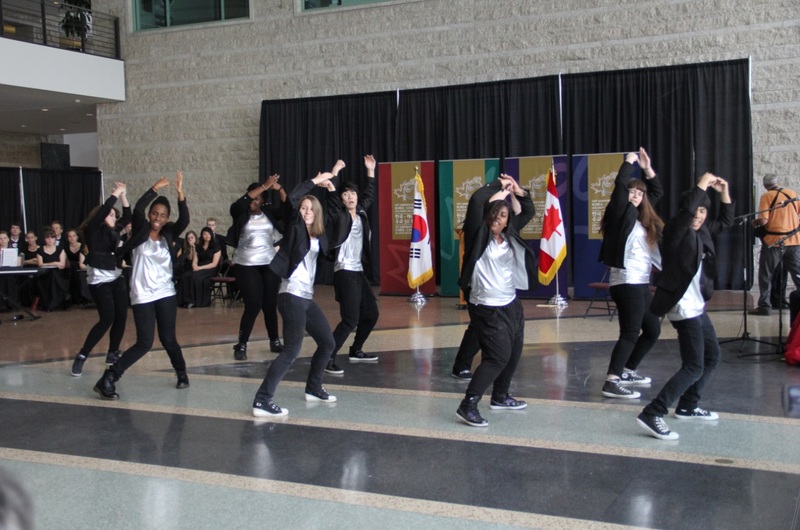 The Ottawa Hallyu Dance Team had the glorious opportunity to perform at this year’s “Korea Week”, held at the Ottawa City Hall June 26st. 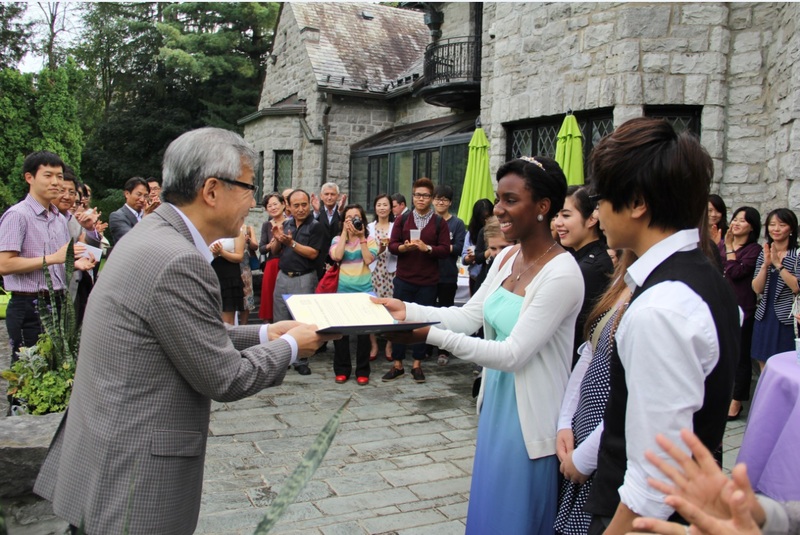 We we’re invited once again by the Embassy of the Republic of Korea in Canada to take part in the festivities! We are always grateful whenever we receive the chance to perform at various important events held by the Embassy, especially in the context of 50 years of diplomatic relations between Canada and the Republic of Korea. We strive to improve our performances and our abilities in order to make both of these countries proud as well as to better represent our love for Korea and for Canada. The Embassy, and its officials, always takes from their personal time to greet us and to thank us after our performances, which are in themselves, beautiful gestures of gratitude! 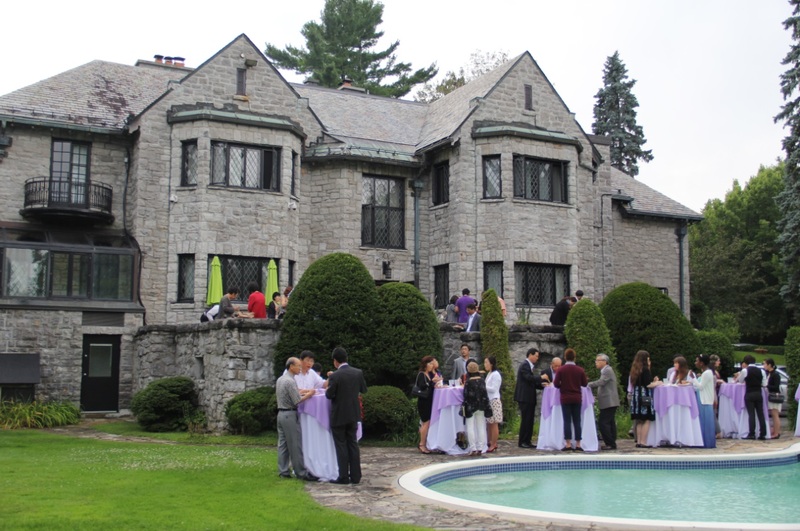 That is why we were surprised, beyond belief, when we received an invitation to attend a garden party at Ambassador Cho’s house on August 22. 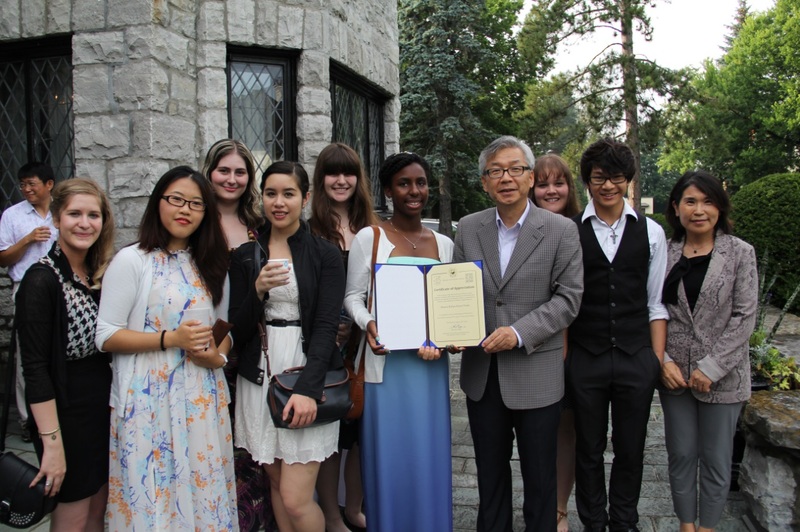 Once we arrived to their spectacular castle like abode, we were presented with a beautiful certificate of appreciation to thank us for our help in spreading the Korean Wave in Ottawa these past few years. We feel honoured to receive such a prestigious display of thanks! This helped us to look back on our previous contributions and accomplishments throughout the years. From continuously volunteering at various local events held by the Korean community, to demonstrating K-pop dances to young Korean adoptees at a local church. We do these things to show our love and passion for the Korean culture as a whole and its country. 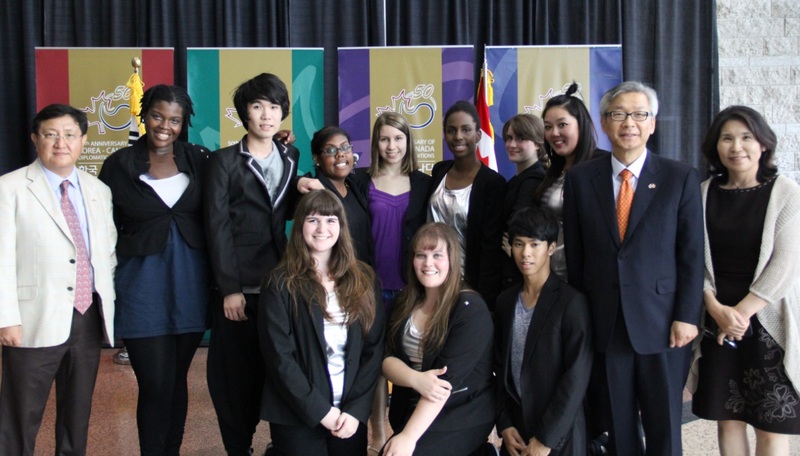 We are very lucky that the Korean community of Ottawa has wholeheartedly accepted and embraced us. Because one of our main focuses is spreading the love of K-pop and Korean culture, we often have members branch out and put on K-pop performances at their own schools, utilizing their experience and leadership skills, as OHDT members, to become K-pop captains of small dance troupes in multiple high schools across Ottawa. We also strive to raise awareness about Korean culture and the Hallyu Wave by continuously performing at non Korean oriented events such as, charity concerts. OHDT is always willing to lend a hand to anyone who is interested in venturing in what we do. This is why we are helping out another more recently formed K-pop dance organization put on an hour long dance show, on September 21st, by performing alongside them and ensuring that almost all of the tickets are sold. There will be similar event at the end of this year. Helping our local K-pop community is our way to give others around us a boost to keep moving forward and to shine a bigger light on K-pop in Ottawa. There are many attributes that define OHDT, but one sticks out in the most prideful way and that is dedication! Whatever we choose to do or are asked to do we will poor our dedication and passion into it until we achieve it! Our weekly practices run for multiples hours, and we do not stop practising until we see a significant amount of improvement in our dancing! A more concrete example of this is how last year we auditioned to perform at HallyuCon Toronto, the Largest fan held Kpop convention in Ontario, and secured a small spot as one of the performers. But this year we were invited to be the main dance performance of the convention, putting on a 20 minute show that displayed a multitude of different Kpop styles and dances! We also have had the wondrous opportunity to be featured in full segment about our team being: “Canadian youth and our love for K-Pop” on YTN 24Hour News Channel located in South Korea. Our journey as a Kpop dance team is far from over, and with the continuous help from our loving community and Embassy we will strive to make more of our dreams and goals come true! Hopefully to become real Kpop ambassadors for both countries! 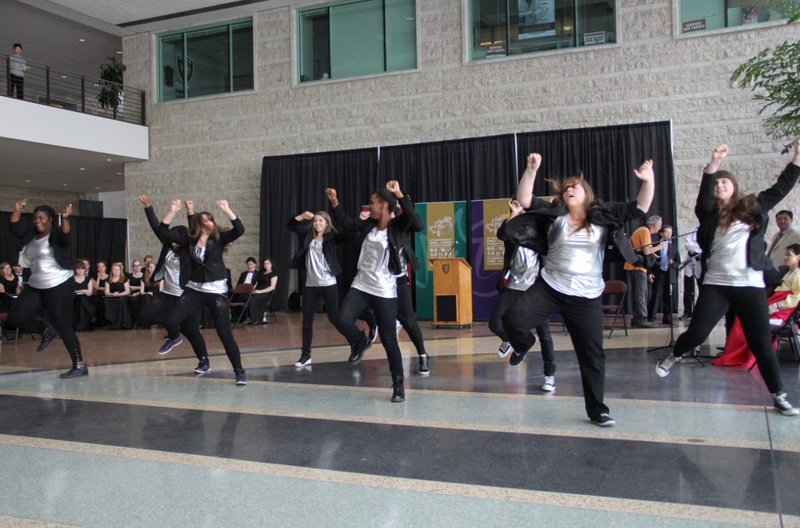 I had a chance to see a performance by this dance team and I was quite impressed. Congrats on performing at HallyuCon Toronto!